Sigh. I have just finished binge-reading all your comics. What do I do? Tornadoes. Like tomatoes, and mosquitoes, and potatoes. Although potatoes are easier to mash. PS. 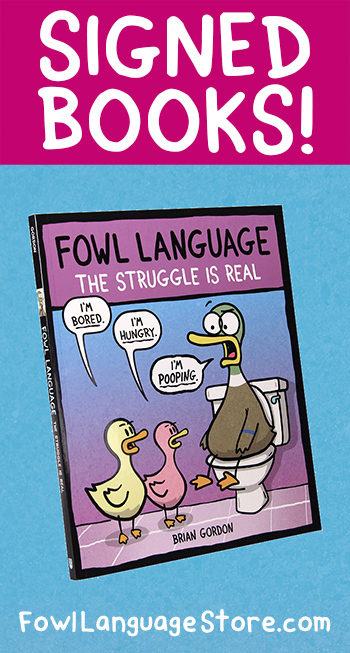 I'm addicted to Fowl Language.